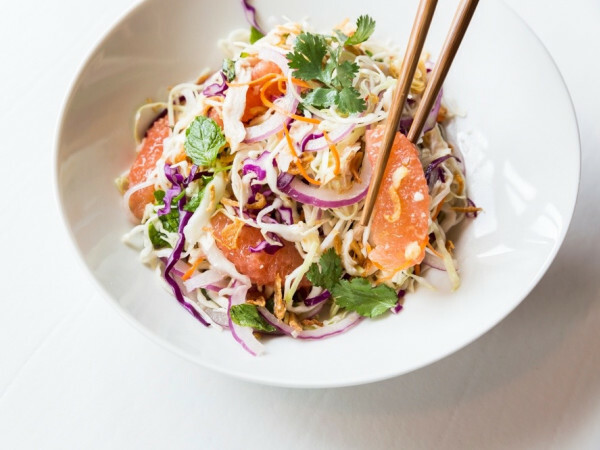 Montrose is buzzing about its latest restaurant opening. 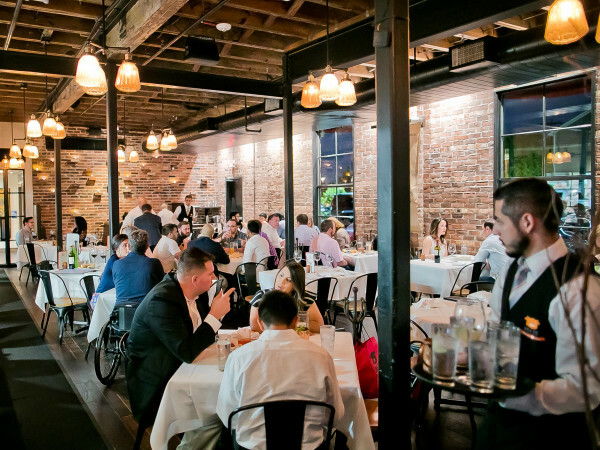 No, it isn't another high-end place from a highly touted chef or an out of town concept hoping to make a mark in Houston's best dining neighborhood. 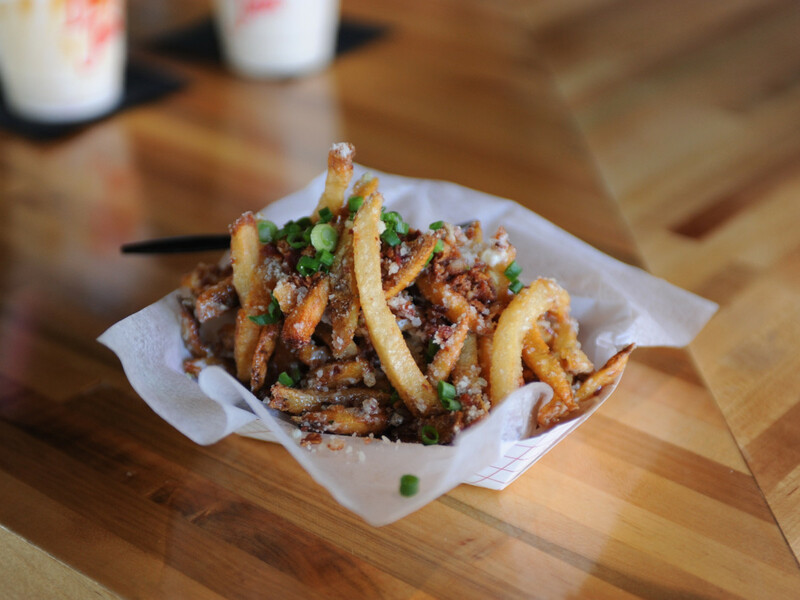 Rather, it's a new place to get burgers and fries that has people lining up for a taste. Local entrepreneur Shawn Bermudez (Stone's Throw, Royal Oak, etc.) 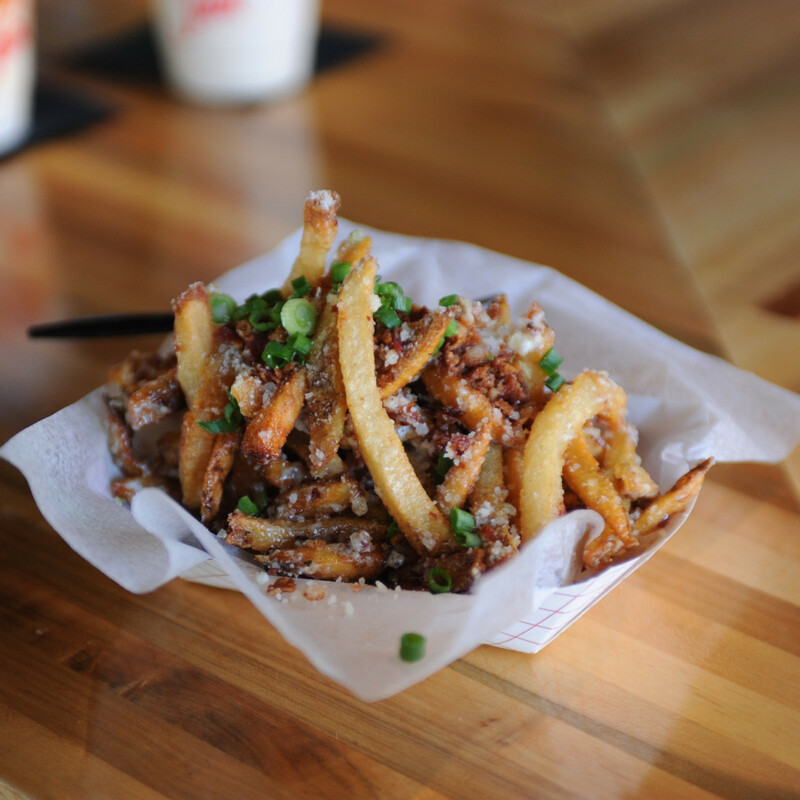 and chef Matthew Pak have already partnered on three food trucks: Koagie Hots, The Golden Grill and Coreanos. 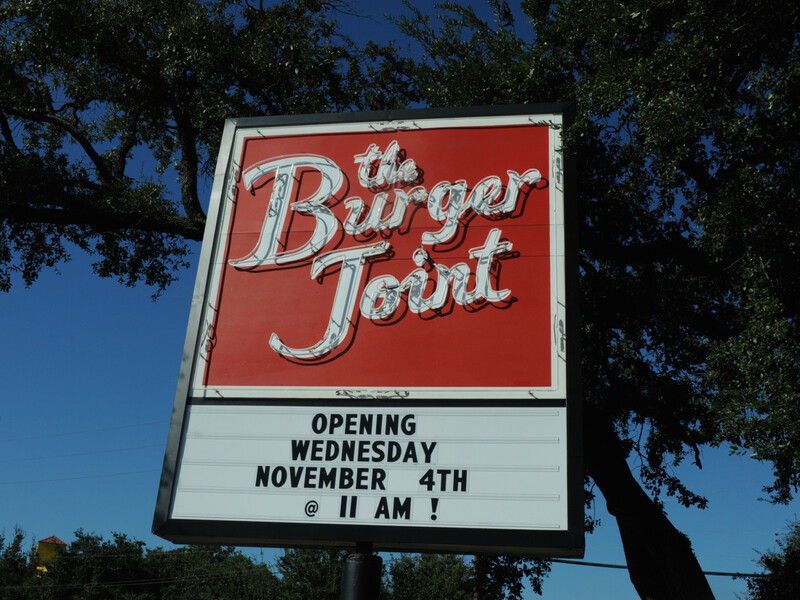 On Wednesday, they opened The Burger Joint, their first brick and mortar restaurant. It's located in the former home of Little Bigs on Montrose at Westheimer. "We’d been searching for that perfect brick and mortar. With it being Matt’s first place, it needed to be the right location and the right concept. 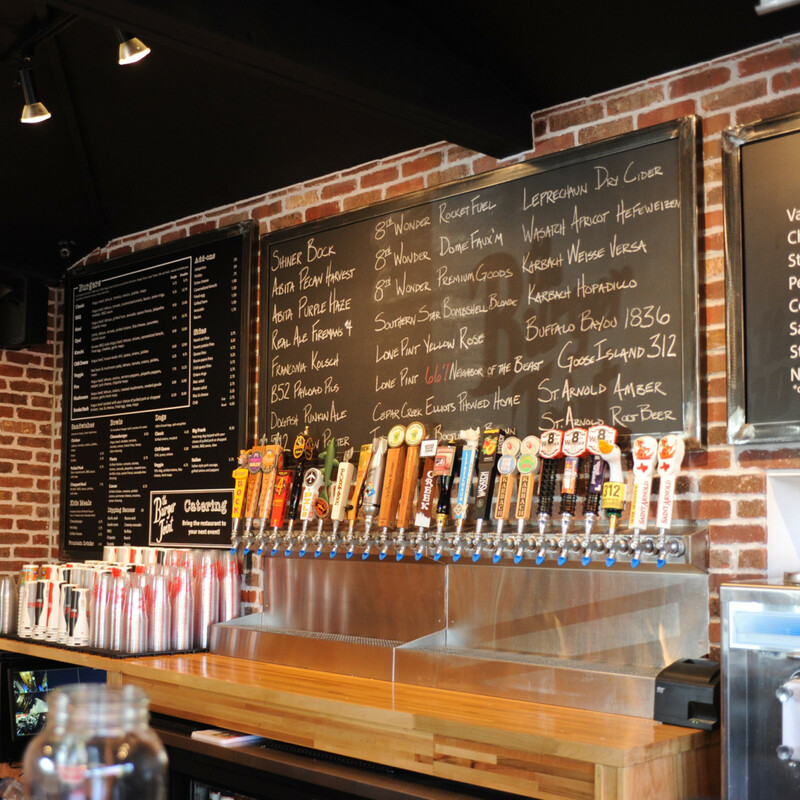 One of the concepts was a classic burger joint, burgers and beer, simple as that," Bermudez tells CultureMap. The space has been transformed both inside and outside. 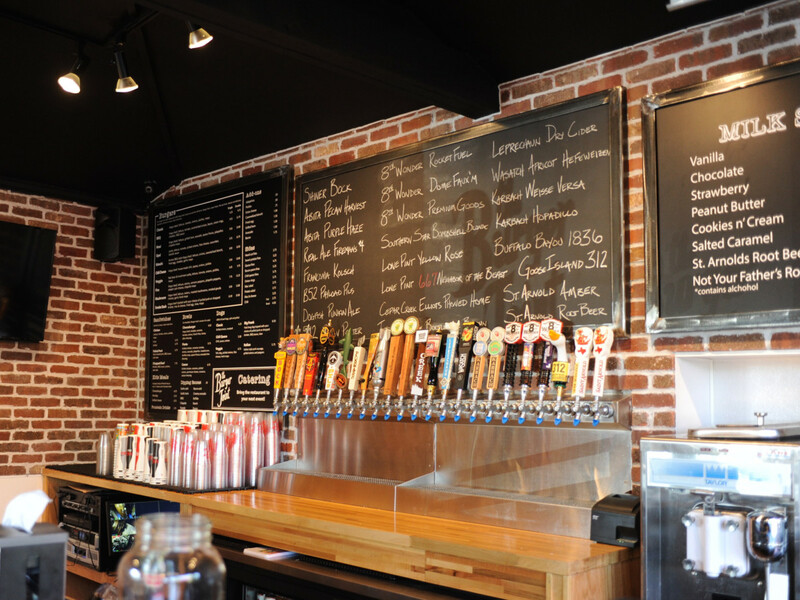 Inside, Bermudez installed 24 taps that feature local craft beer. Outside, the rebuilt and expanded patio features TVs, new lighting and landscaping that shields patrons from the adjacent parking lots. 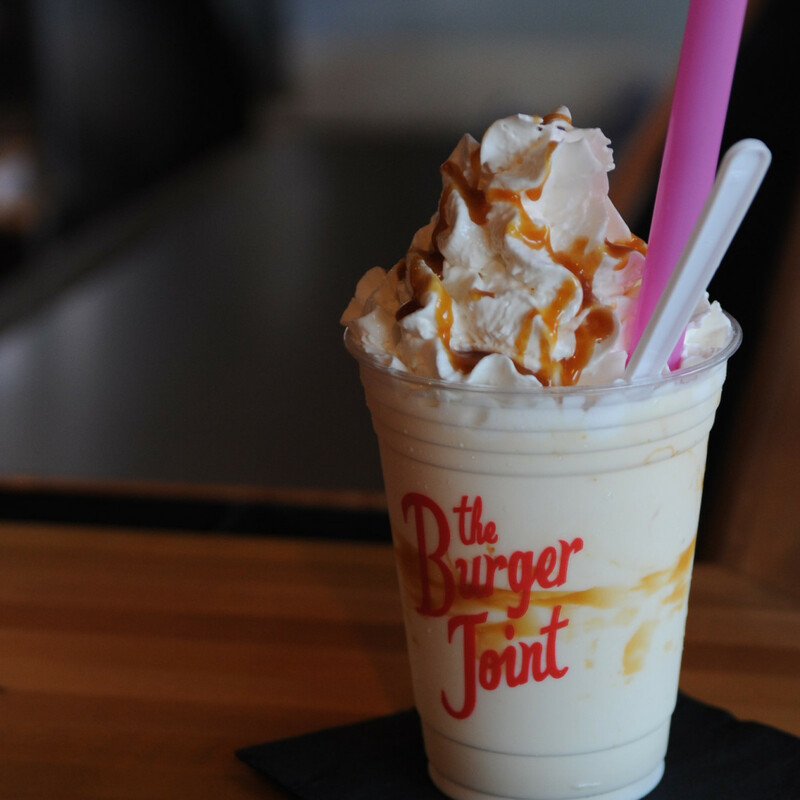 During the week, The Burger Joint is open until midnight and 4 am on Friday and Saturday, which should appeal to late night revelers. 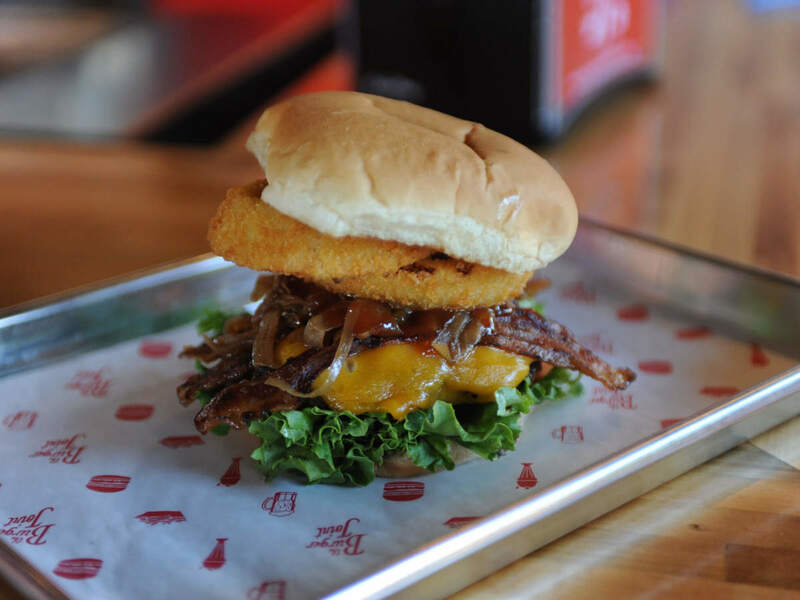 "When we discussed the concept, we felt that a lot of places that were opening up that focused on burgers were more about how big the burgers were or how much ingredients they could put on them," Bermudez says. "You couldn’t really find a classic burger anymore unless you want to an older place that had been around for years." 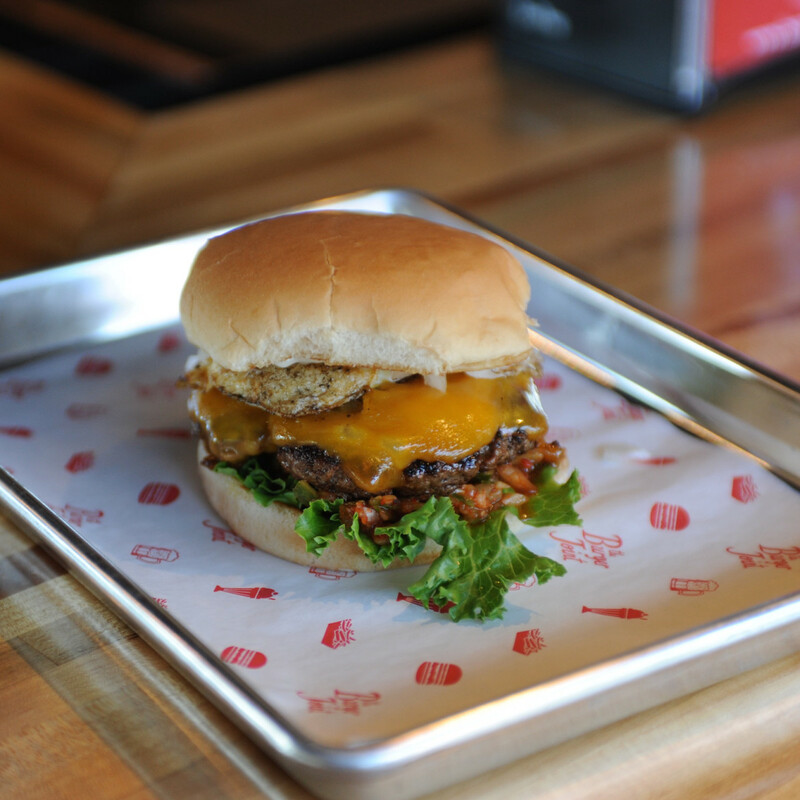 As Pak demonstrated when The Burger Joint began as a food truck this summer, he certainly understands the classic burger. 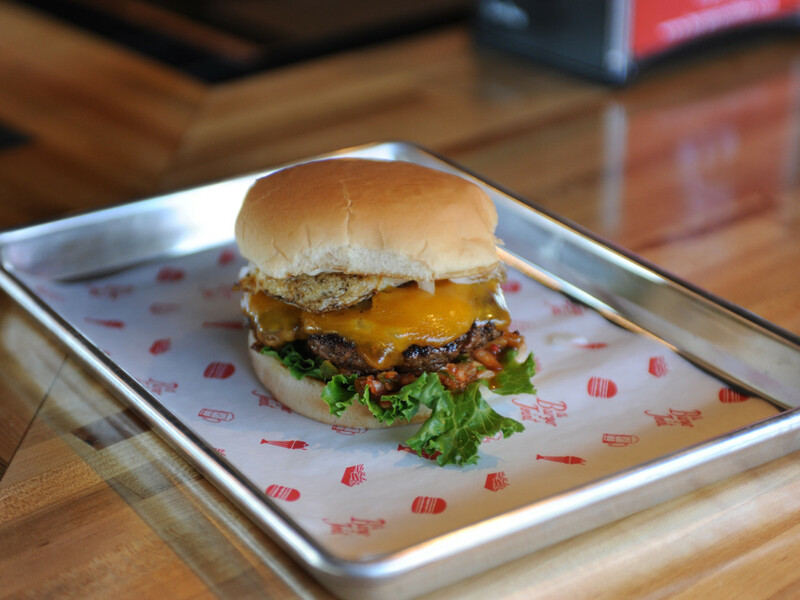 It starts with a thin patty made of high-quality beef from 44 Farms and continues with fresh veggies on top on a grocery store-style bun. 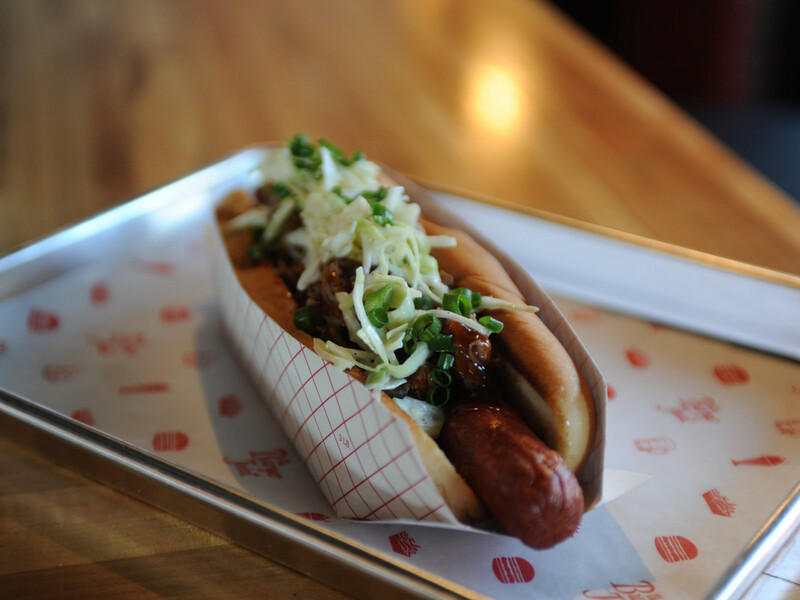 Cooked on a griddle to a juicy medium, it's the right size to eat with one hand. With the restaurant's increased cooking and storage capacity, Pak has upped the ante with a wide range of additional offerings. That includes a a lamb patty for its Greek-style Opa! 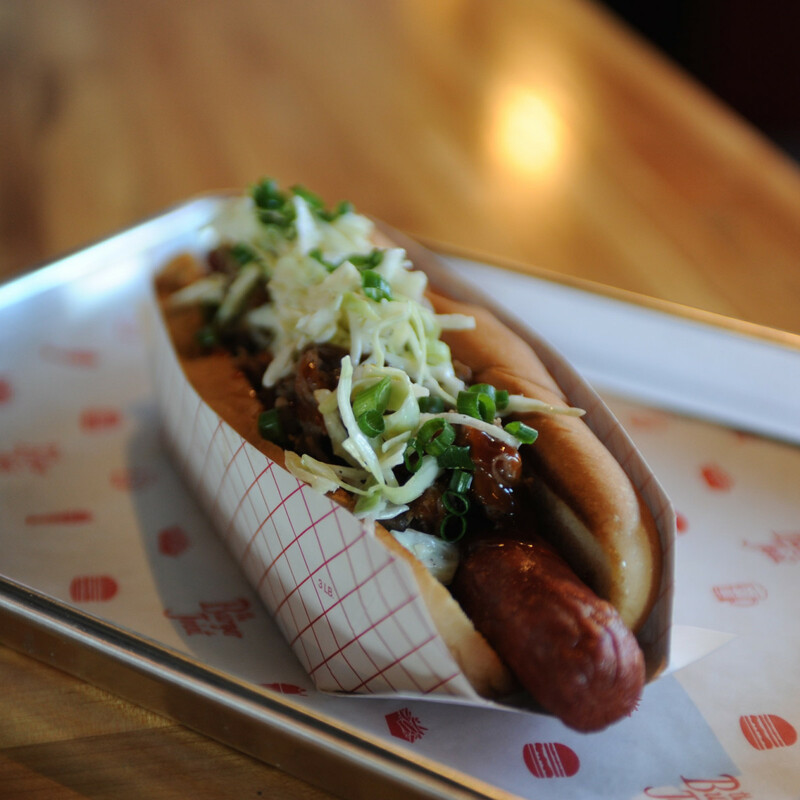 burger, hot dogs, pulled pork and chopped beef (available either as sandwiches on top of burgers or dogs), and milkshakes. 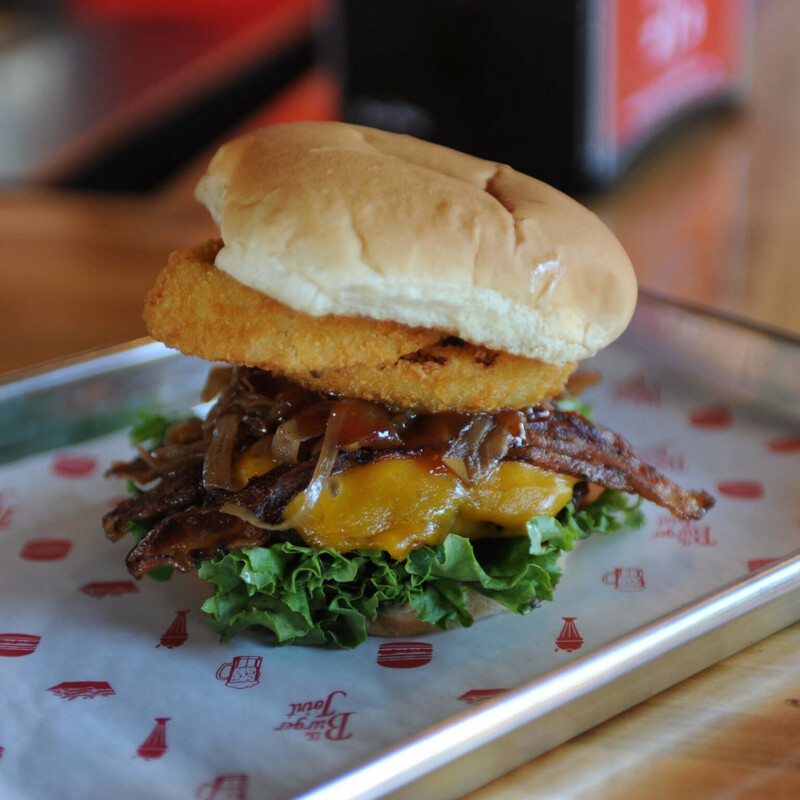 New burger additions include "BBQ," which is a bacon cheeseburger topped with barbecue sauce and onion rings, and a kimchi burger that features two kinds of kimchi and is marinated in Korean spices. Vegetarians even get a red bean and mushroom patty. Pak sources his hot dogs from famous New York vendor Nathan's, but the pulled pork and chopped brisket are made in house. Rather than smoke the meats, Pak explains that he sears them on the griddle to crisp them then roasts them in the oven. Then he applies a liberal dose of his homemade barbecue sauce —Texas-style for the brisket, Carolina-style for the pork — prior to serving. 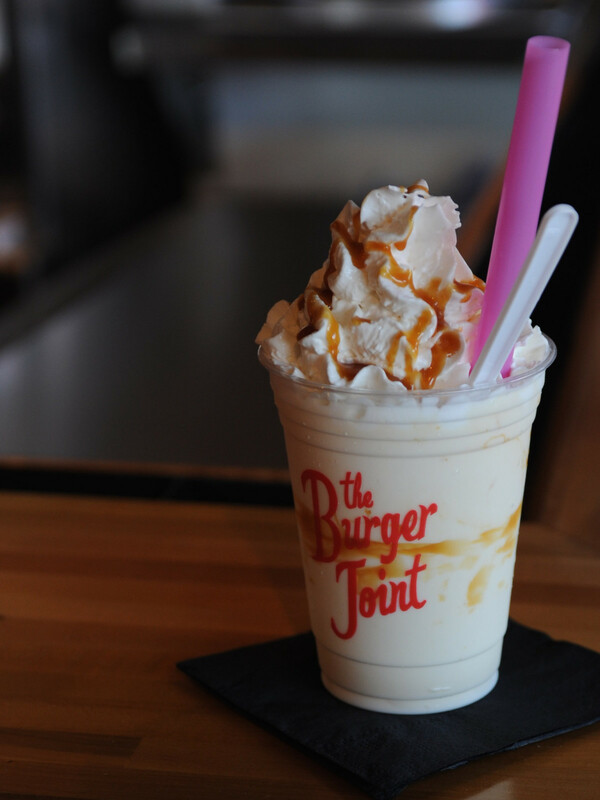 Milkshakes also utilize homemade syrups; for example, Pak cooks down strawberries with a little bit of brown sugar for the strawberry shake and enhances his salted caramel syrup with Mexican vanilla beans. Those 24 taps also enhance the shake offerings; adults can order one made with either Real Ale pecan porter or 8th Wonder's Rocket Fuel Vietnamese coffee porter. 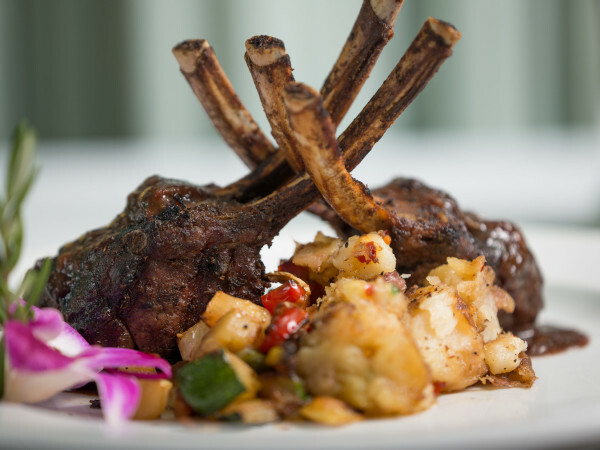 Between the varied menu, expansive patio, solid beer selection and late night hours, Bermudez hopes to appeal to a wide range of diners. "I’ve been referring to this as an ice house that serves really good burgers," he says. "(I know) it’s impossible to please everyone, but I think it’s possible to please most." Bermudez acknowleges that he and Pak have already started scouting for a second location, but they want to perfect what they've created. They're only a few days in, but the response has been overwhelmingly positive. 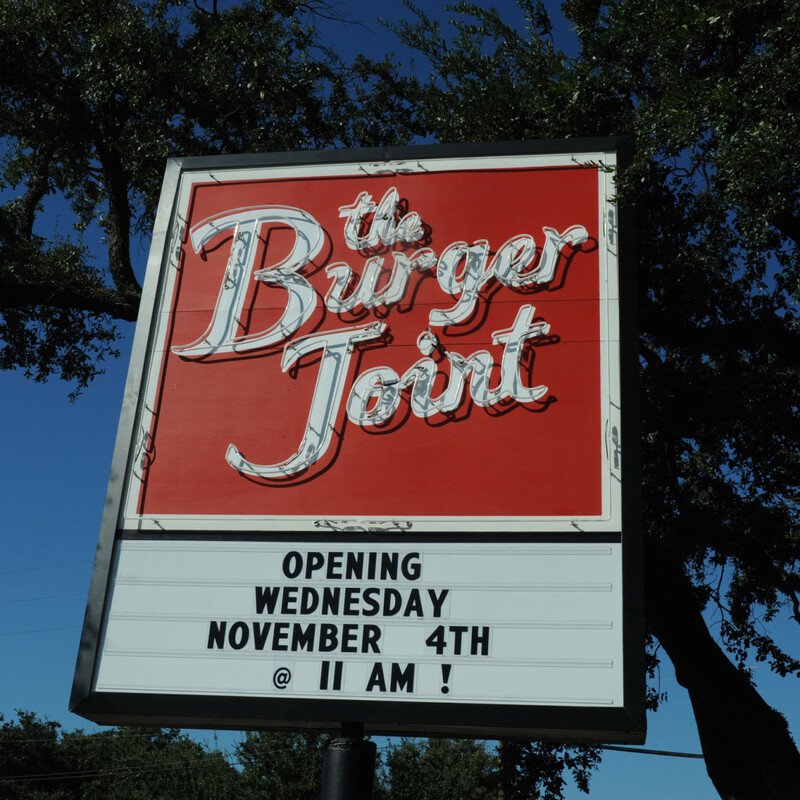 With cooler temps sending people to patios, expect to hear a lot more about The Burger Joint.